this has been sold to me as a surinam pepper, but i dont think it is a madame jeanet? Vs: what type of chile is this? 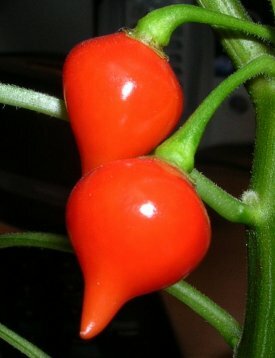 just to say that the habanero I bought in Mexico looked a little bit like this (but I bought it green and they are only growing for the moment, so I don't know the color of the fruits).